The Hammer Beam frame style has an open design with handsome decorative details. These details, like all of VTW’s project, can be customized to clients’ preferences. 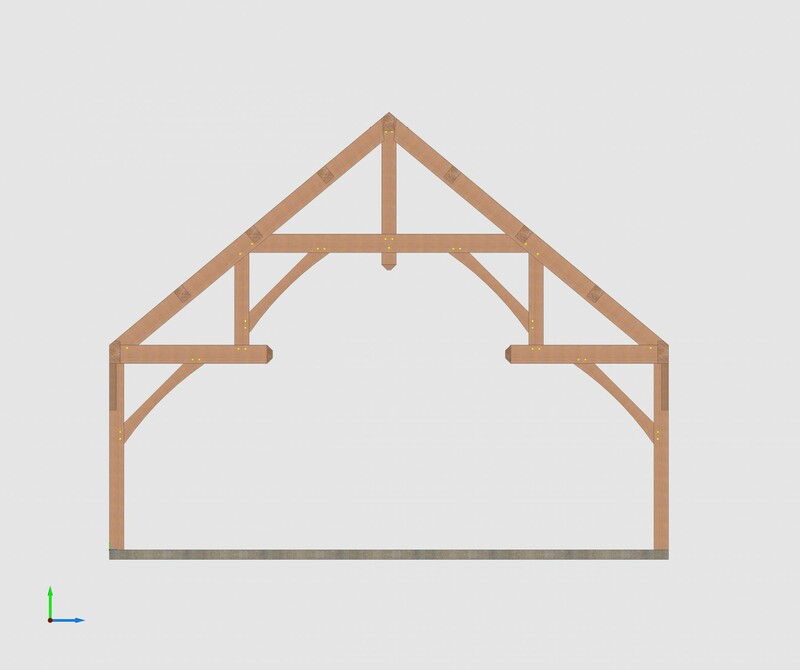 The Breed Estate is an example of a VTW frame that has beautiful hammer beam trusses. 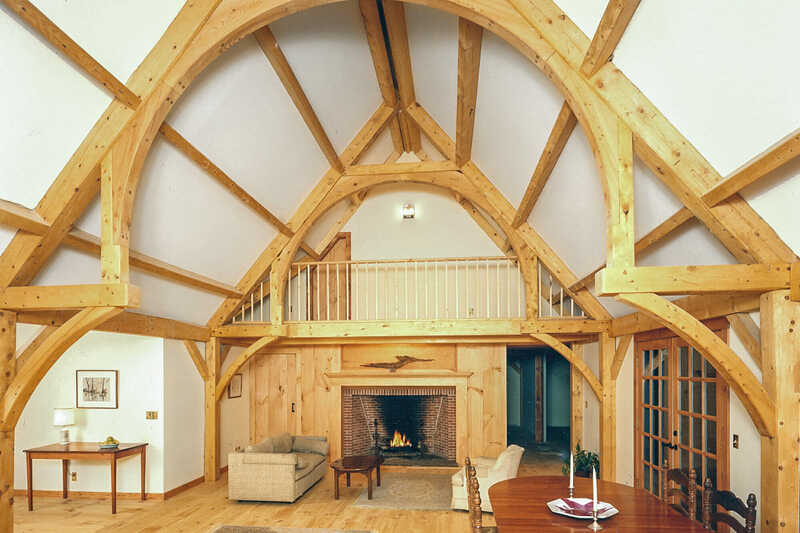 Typical bents can be modified to create elegant shapes and designs. 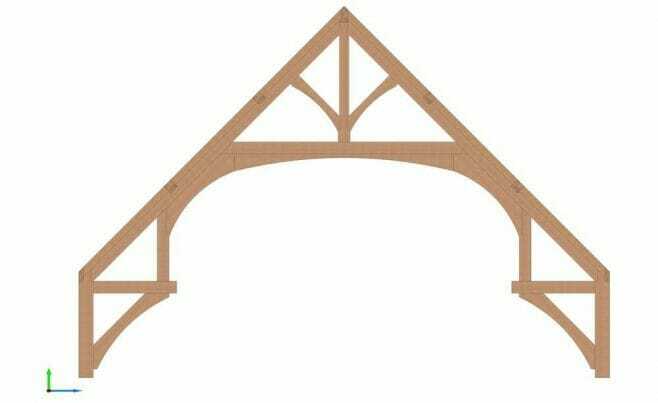 Here, a basic cape style bent is converted to a beautiful hammer beam using arched timbers and curved braces. 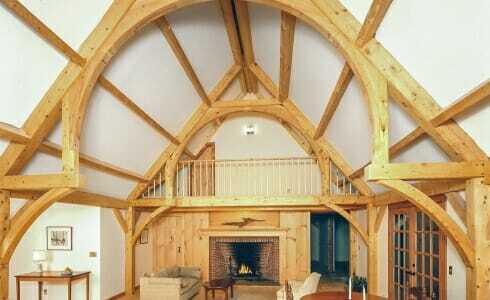 Because of the height of the arches, the frame relies on outside buttressing for support.